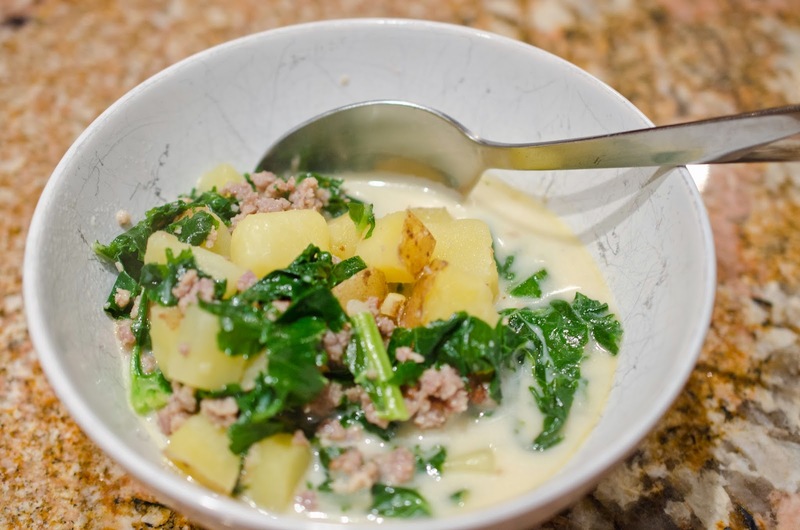 Have you been to Olive Garden and eaten Zuppa Toscana? Yes, then you know how amazing that soup is. This is my attempt. I made up this recipe a few years ago and it isn't exactly the same, but I like it and wanted to share. We are heading into Autumn here in New York. Yes, we have seasons, unlike my home town in California. The weather is cooling down and I am happy to be making soups in response to the cold. For my family and friends in California, not enjoying the cool weather yet, maybe this soup can still give you some comfort. Comfort in a bowl. Try it and you will see. 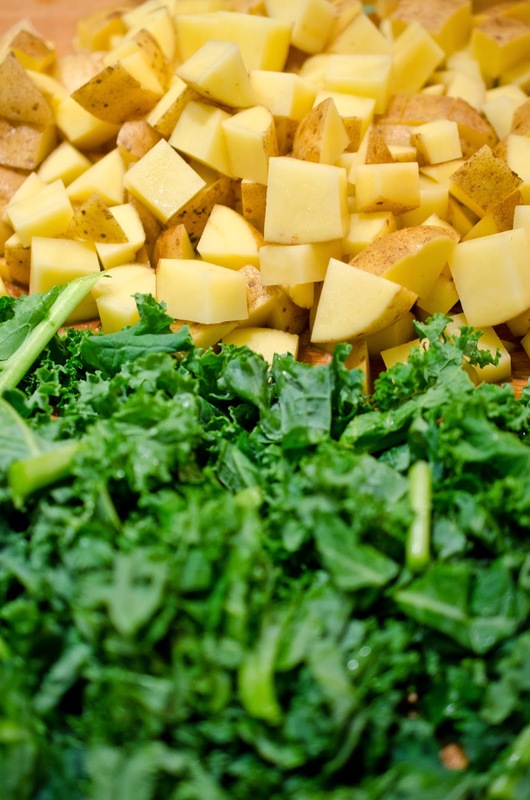 Clean potatoes and kale and cut into 1/2 inch pieces. 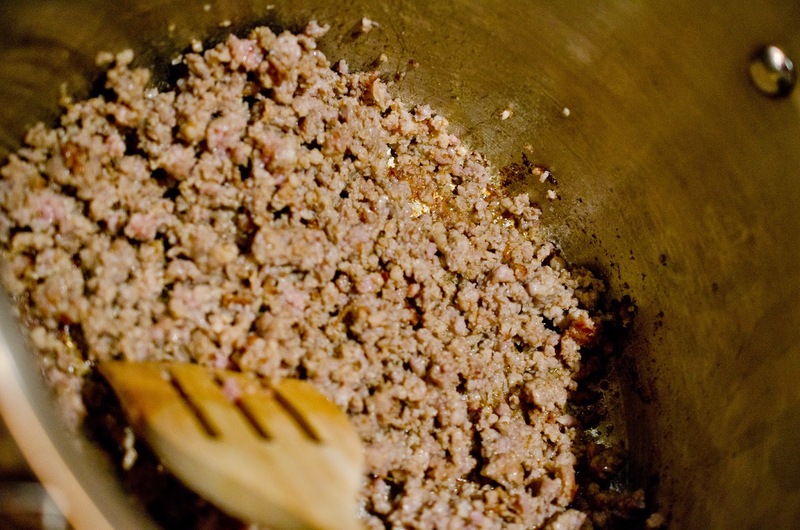 Brown sausage in a stock pot over medium heat. 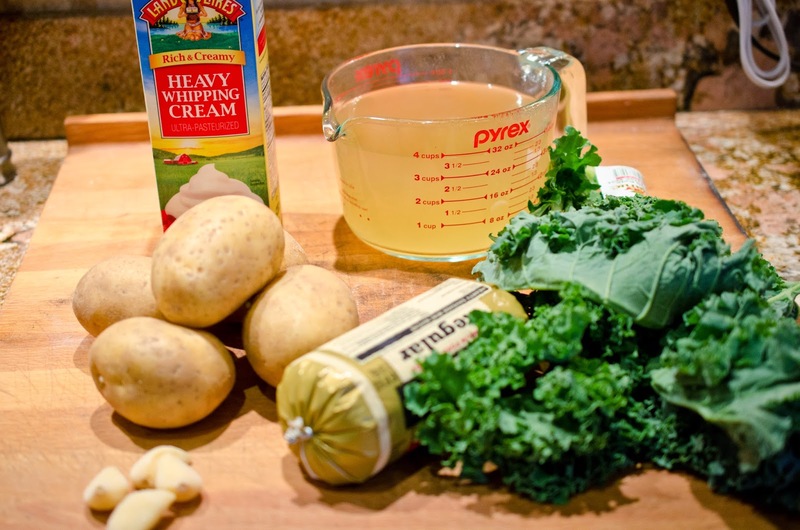 Add kale after potatoes are tender. Cook for another 3 minutes. Turn off heat, add cream, and stir. 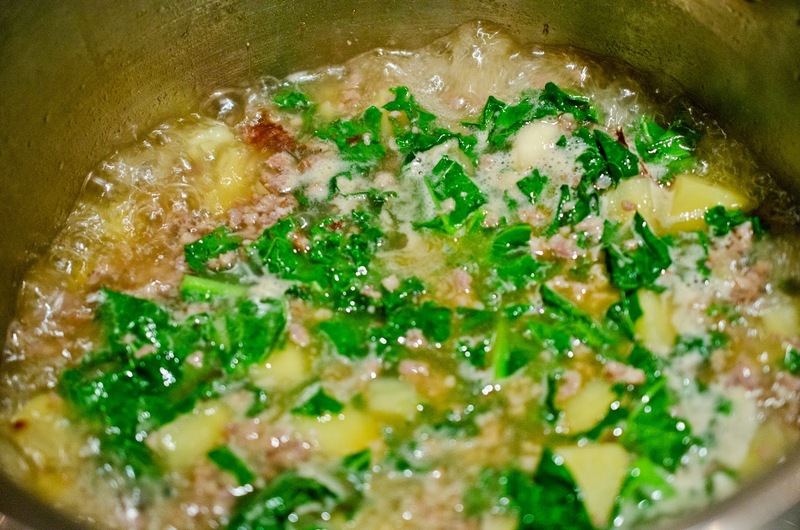 Pour broth into pot, add potatoes and garlic and cover and bring to boil. Cook until the potatoes are tender.